Atlantic Reproductive offers many financial tools to help you achieve the family you desire. Please email us with any questions you may have. We are here to help. ADMINISTRATIVE FEE-Coordination of Cycle, Injection Training, Paperwork and Medication Order Management. RETRIEVAL-Physicians Fee, Ultrasound Guidance-Ova Aspiration, Oocyte Identification, Insemination of Oocyte, Sperm Prep, Oocyte Culture, and Anesthesia. EMBRYO TRANSFER-Physicians Fee, Preparation of Embryo for Transfer and Ultrasound Guidance for Embryo Transfer. How can IVF be more affordable and increase my chances of success? IVF is one of the most effective fertility treatments available today. That’s why many patients like you are considering it. But the high costs of IVF and often uncertain outcomes may keep you from trying. Atlantic Reproductive Medicine Specialists is proud to offer The Achieve IVF Refund Program to help you choose IVF in a way that saves both precious time and money in your fertility journey while improving your chances to have a baby. Eligible patients can undergo 3 IVF treatments—with the ability to use all of their frozen embryos, if needed, for the best chance to have a baby with their own eggs. The package costs less than paying for 3 separate IVF treatments. If you do not achieve a viable pregnancy at 12 weeks gestation with the 3 IVF treatments, Atlantic Reproductive will refund you 50% to 100% of your cost. Atlantic Reproductive Medicine Specialists is able to offer The Achieve IVF Refund Program to up to 50% of our patients, while most other fertility clinics offer refund programs to only a limited number of patients. Why? We use the Univfy PreIVF Report, which provides highly accurate, personalized predictions of each individual patient’s IVF success and does not limit refund eligibility based on artificial age or blood test cut-offs. 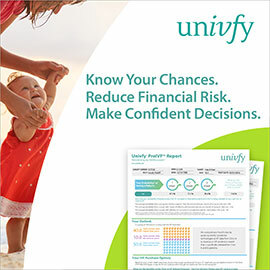 Univfy has shown that more patients have a higher probability of IVF success than previously thought. With the Univfy PreIVF Report, The Achieve IVF Refund Program can qualify many more patients. How Can You Afford Your Fertility Treatments? Let ARC Fertility help you! ARC is the nation’s largest network of fertility specialists in the US. It is a patient-focused organization that offers every new patient the value of its more than 18 years of experience and the trust it has earned by helping thousands of patients get pregnant. ARC and its member clinics are committed to making the average cost of IVF and other fertility treatments predictable and affordable. 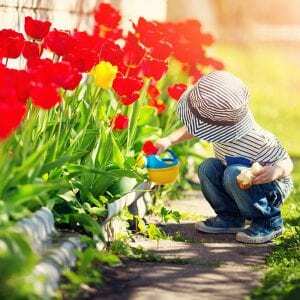 A significant IVF discount is provided to those actively in the military or reserves, police officers, firefighters and North Carolina State teachers (K-12). Lending Club Patient Solutions – Patients need a simple and affordable way to pay for the care you prescribe. Lending Club Patient Solutions provides it. Our rates are low, our approvals are high. Decisions happen faster than ever before. And patients have the funding flexibility they need. Best of all, practices are freed up to focus on what they do best: care for patients. Fertility treatment can be tough. Financing shouldn’t be. Your fertility patients have complex needs. They want compassion, not credit hassles. Plans up to $50,000 cover a wide range of fertility treatments. Longer repayment terms help keep monthly payments affordable for applicants. Small wonder most of the country’s largest fertility networks use Lending Club Patient Solutions. Let Lending Club Patient Solutions make your patients’ lives easier. Prosper Healthcare Lending is the premier financing company in the fertility industry. *Only for loan inquiries submitted through the Standard Credit Program.